Best Ways to Get Your Class Up & Moving! School started and I don't know about you, but I am seriously WIPED OUT. My class is a group of 6 firecrackers and I have been chasing around after them since day 1. I really wish I was exaggerating. We have developed some routines in our class that help my rambunctious kiddos stay focused. We do have some fidgets, stress balls, and the like at their desks for work times, but nothing compares to a full blown brain break. Alas, here is my all time favorite fidget - the Tangle! They are virtually silent (well, as long as they don't bang them on a desk, which is a whole different story), they are research based to help with focus, and kids really seem to love them. They're also pretty non-intrusive, and inexpensive! Below is an affiliate link. Yeah, burn out is real. Most of us hate admitting it, but we have at least towed the line with burn out at some point in our teaching lives. For me, it comes and goes in waves. Some days I make it through the day and no matter how successful, stressful, ridiculous, or exciting my day was, I feel great and know why I do what I do. And some days, I literally go home and fall asleep on the couch with tears in my eyes and my winter coat still on. The struggle is real. So - WHAT DO YOU DO?! Well, there's the usuals: get a manicure once a pay period, have several wine options in your fridge at all times, keep a well stocked chocolate stash in the corner of your desk. Please do those things. DO THOSE THINGS. But self care is more than a back rub and a cold glass of Pinot. And... let me be clear, this is not my strong suit. 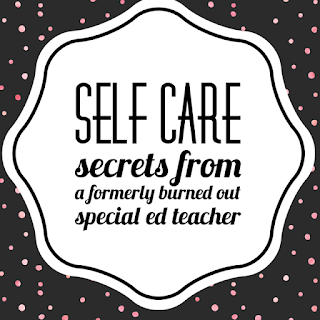 But I know the importance in taking care of myself and how it directly impacts my students and my relationships with others. So here's some ways that I am working on taking care of myself, so that I am the best teacher, wife, friend, and family member that I can be. If you've ever had a paraprofessional that you've had to wake up from a catnap during circle time or somehow always "loses track of time" and takes a 6 million hour lunch break a few times per week, you know what I mean about the "curse" part of the title of this post. I have had my fair share of paraprofessional experiences, and I'll say I'm thankful to report that most of them have been incredibly positive. 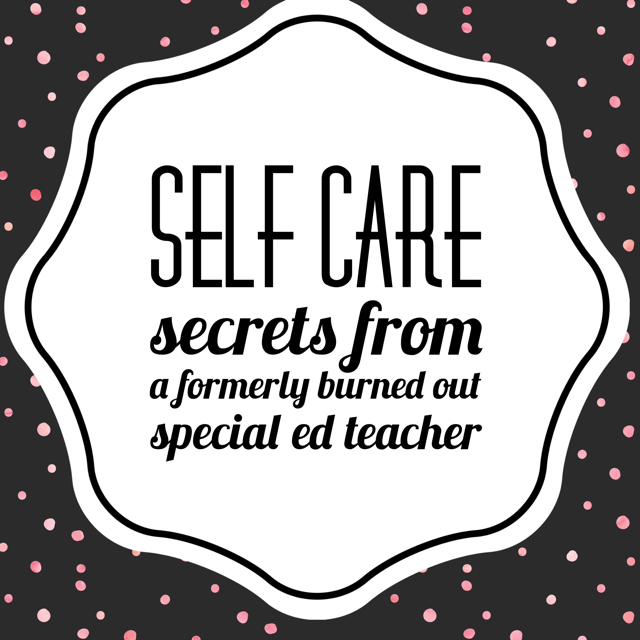 I have never had built-in time where I could debrief with my paraprofessionals, and it drove me crazy. If they had more lengthy questions, I wanted to introduce a new behavior plan, switch to a new data collection protocol (etc etc etc), it was almost impossible to roll it out smoothly. I got approval from my administration to show a movie on Friday afternoons so we could have the time to look at data together, ask and answer questions, and just bounce ideas off of one another. I found this to be incredibly useful, and allowed me to train and implement structured strategies with my not-so-strong paraprofessionals. So while I just love those paras who end up being our fiercest sidekicks and literally our right and left hands, it's HARD to manage other adults. We cannot control them, sometimes they don't agree with our strategies (like reinforcement schedules... PLEASE JUST FOLLOW IT... gah! ), and typically they are older meaning it can be hard to redirect someone who could literally be your mom. But, I will leave you with these images that I hope will encourage you to put in the extra effort to train them well, create positive environments that naturally enforce hard work, and show gratitude towards these staff members that are literally golden. I. love. 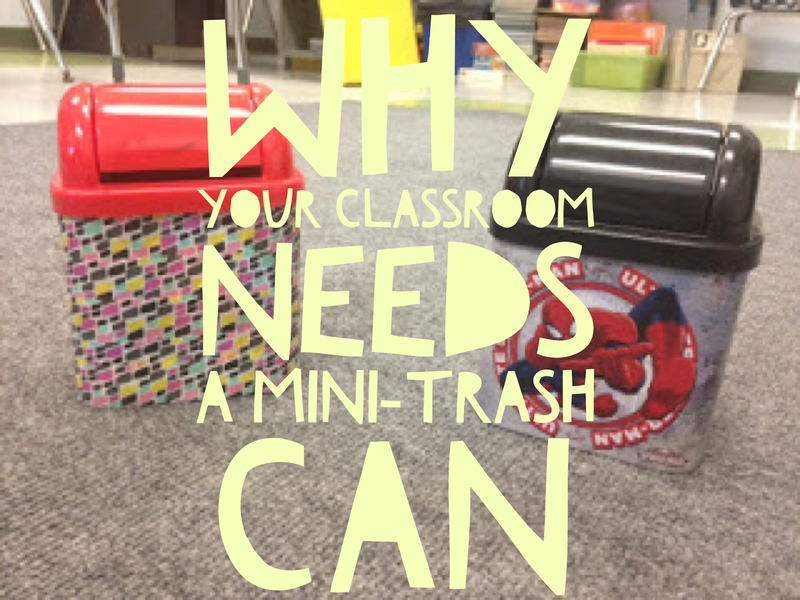 mini-trashcans. Let me count the ways. 1.) I just think miniature things are really cute. 2.) My students have always gotten a kick out of them. 3.) Paper scraps. Sticker backs. Crayon wrapper pieces. I have always used these at small group tables when we are doing literally anything. Instead of the kids going back and forth to the garbage can NINETY TIMES in one lesson (this is such a pet peeve of mine), this little trashcan gives the kids no reason to get up. Then, one kiddo gets the job of emptying out after the lesson. Done.